This friendly coyote just wants the food I keep on my shoulder straps. The National Parks are a sort of haven for tame animals, assuredly a result of being fed by tourists and seldom hurt by people. Death Valley in particular had many animals willing to approaching well within my comfort zone; however I got the best picture of this coyote, which was one of three I saw pretty close, and a small fox, maybe even a kit! The Salton Sea is one of the stranger landscapes I have traversed, lined with fish bones and chitinous barnacle shells leave the beach a surreal sort of hellscape, wherein it is consistently possible to sink up to your calves in bleached dry bone. The lake itself smells off, a cross between the ocean, an urban riverfront, and the sulfur springs of a volcano. in the transition area between the water and the fields of organic decay, a small sand bar filled with sea birds, obviously attracted to this large inland body of salt water. Buzzards circling some expanse, is a little less common than westerns might lead you to believe. I didn’t go near the epicenter to see whose wake these vultures were attending; most likely roadkill, of which I do not shy away from, but it certainly does not draw me in. This guy kinda looks like he is doing an impression of unpopular opinion puffin. A little horned lizard hiding away in the Northeastern section of Joshua Tree NP, he’s kinda hard to see, but don’t hold it against him; that’s how he stays alive. There was a bit of rain and general humidity relative to the normal desert clime, so the greens have been really bright, but that’ll probably taper off in the coming weeks. Preying mantis in NorCal, I’d never seen one in real life. They look super cool, I dunno if it was cold, or something else, but it seemed unable to move significantly. Nice for photos, not so much for its survivability, especially given its right in the middle of the trail. I even passed a NoBo 15 or so miles past who might be the one to spell its doom. Hope you can make it outta there little bug buddy! This finger sized frog hanging out on a privy seat in ND, I usually avoid picking up little animals, but he was chilling out pretty hard and I wasn’t really looking to sit on him, or wait for him hop off on his own. I see a lot of toads, and hadn’t seen many frogs, atleast not since I was in the southern AT. Then they’d been mating, you could hear the frenzy of croaks for a quarter mile in either direction! This big ol’ Beetle (?) was trying to roll this rock around ID, wasn’t making much progress, but I sat and watched him try for a few minutes. Kinda wonder why it was so intent on this little stone, probably something mundane, yet nefarious. Tiny Spider crawling around some asphalt near an earthen dam in OH, might’ve posted this one on the previous iteration of the blog, but it wasn’t till now that I noticed the the thin thread of silk being spun behind it. 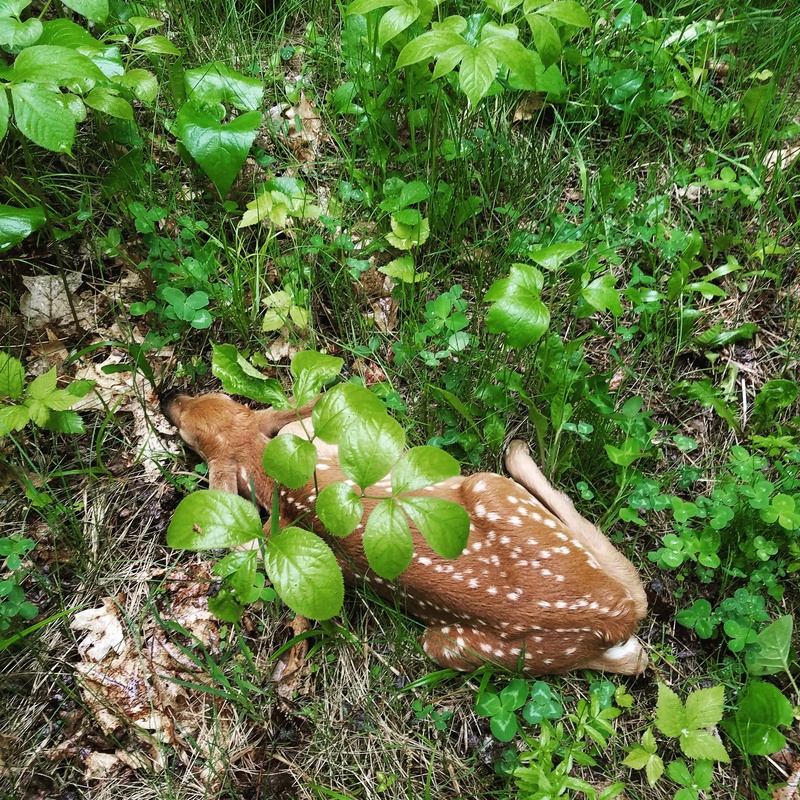 I spooked bambi and its mother a few days ago, (May 27th) the mother fled but the fawn either tripped or tried to hide, right in the middle of the trail! 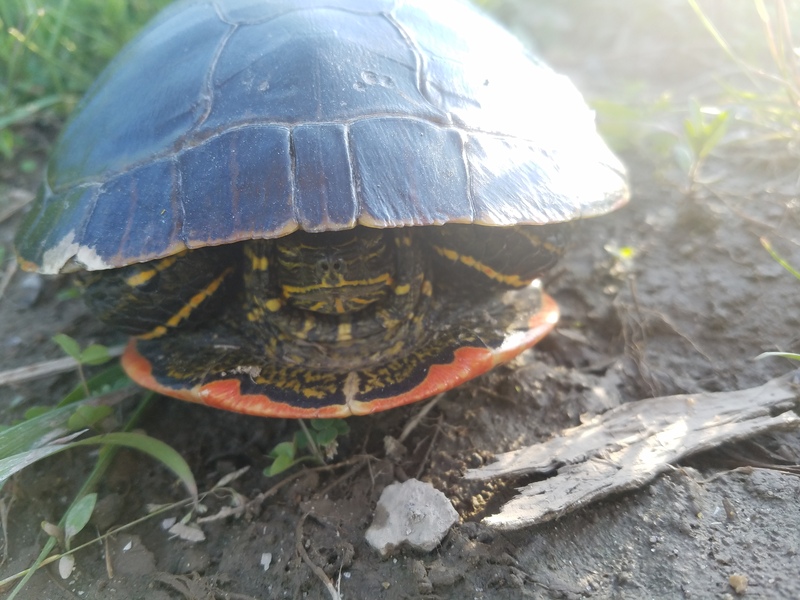 One of many turtles that I’ve moved outta the middle of the road, hope I put you on the side you wanted little buddy. 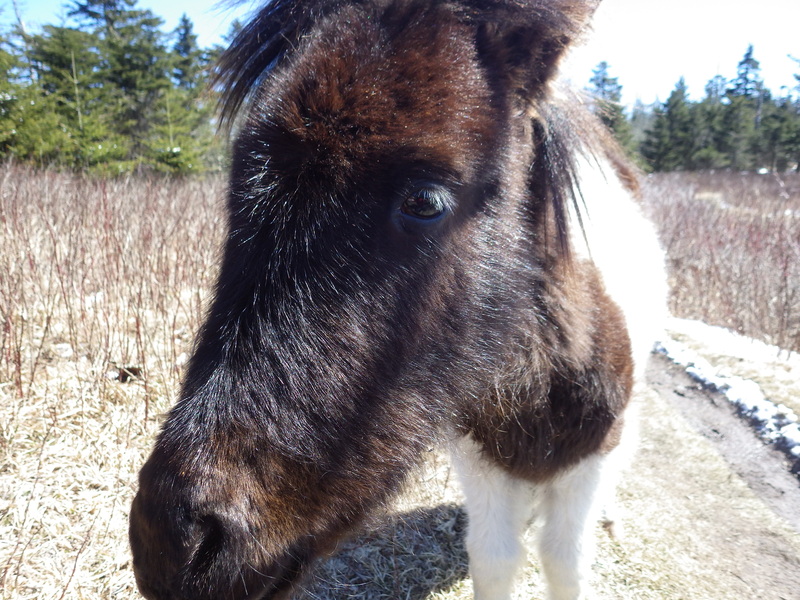 One of the infamous ponies in the Grayson Highlands on the AT, he (she? Didn’t check.) was really interested in the contents of my hip pouches. Nemo and I spent a good bit of time watching what we thought was a stare down between the raptor and the little blackbird. 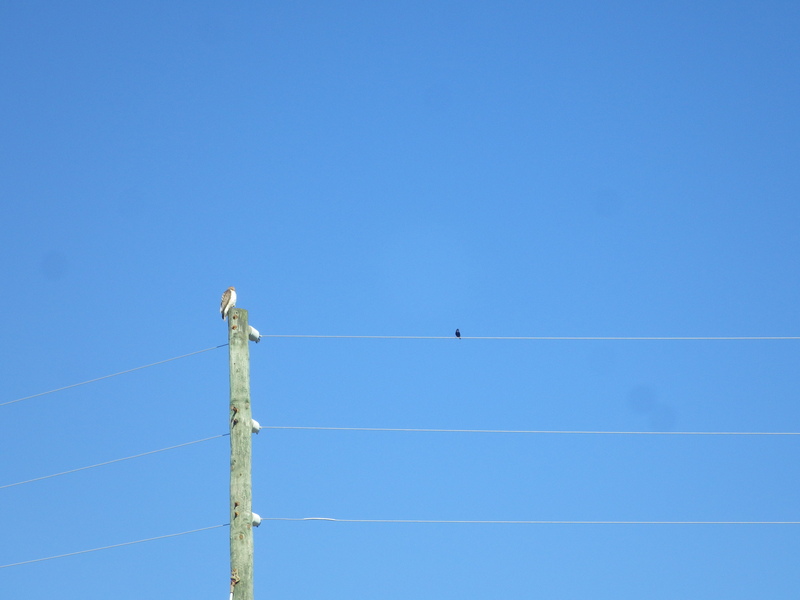 In a perfect anticlimax the little guy just flew away and the raptor didn’t even bat its eyes.